You can pick the person you marry, but you don’t have a choice of selecting the extended family, siblings and most importantly, in-laws. 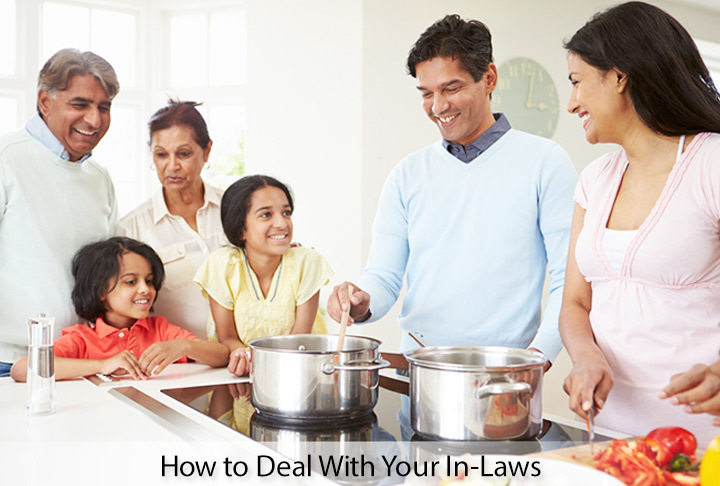 Unlike your own family where you have built an equation with time, it is important to learn how to deal with your in-laws are another matter and an especially delicate one. Thus, conflicts with in-laws can take a toll on your marriage. It is time to stop thinking that they will change. Now is the time to take the reins in your and stop dreaming about things are ‘supposed’ to happen. Be firm yet politely let them know that you cannot deal with unnecessary demands, or listen to criticism. There are plenty of in-laws that give unsolicited advice on how to keep house to retirement plans and child rearing. If you are not comfortable with it, it is time to ask your spouse to discuss it with them gently or try to do it on your own. Don’t seek their approval, just do what you think is right. You will need to learn to agree to disagree. Under the circumstances that you hold different views with your in-laws, move on without feeling berated just because you don’t adhere to their thinking. You don’t have to change your opinion nor try to think that they will change. Thus, do yourself a favor- don’t internalize the judgement that they pass.